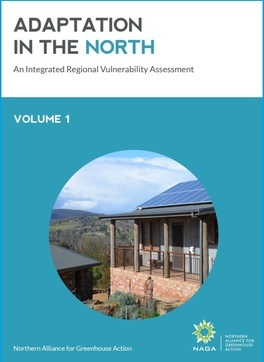 NAGA has produced an Adaptation Guide for developing local adaptation plans. This details some considerations for adaptation planning and a synthesis of typical climate change adaptation actions across council service areas. Emergency Management Victoria has released its Disaster Recovery Toolkit for Local Government, the result of a collaborative project with ten councils hardest hit by the 2009 bushfires. Wyndham City Council's new Water Action Plan 2015-2020 - the first local government water strategy in Victoria to make climate change adaptation a central focus. The Department of Human Services has updated its Vulnerable people in emergencies policy.